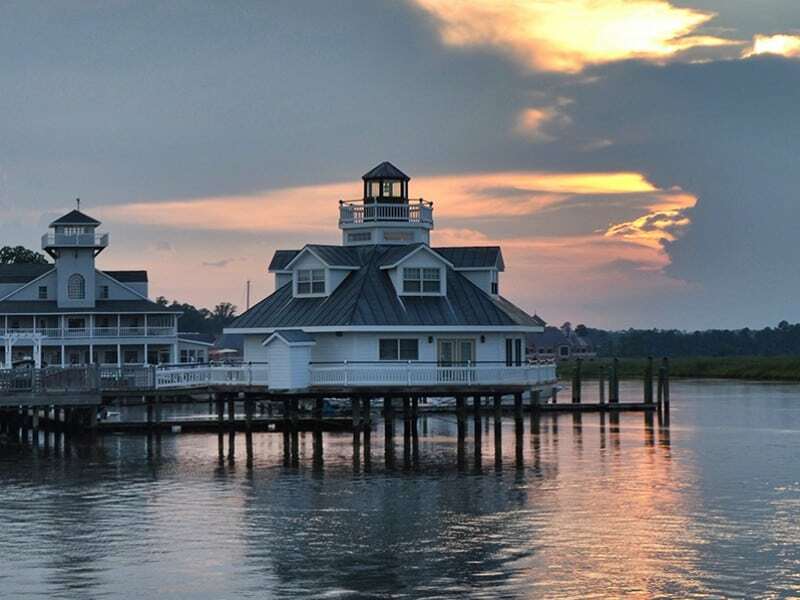 In this river-port town in Southern Virginia lies a waterfront jewel by the name of the Smithfield Station Inn. This destination has now been recognized by the Chesapeake Bay Magazine’s Best of the Bay awards for its seventh year in a row. Overlooking the marina with traditional waterfront architecture, The Smithfield Station offers guests consistently beautiful views and an inviting atmosphere. When you stay at the Inn, make your trip even more romantic by upgrading to the Lighthouse room. This separated suite stands on all stilts above the Pagan River for ultimate privacy and panoramic scenery.